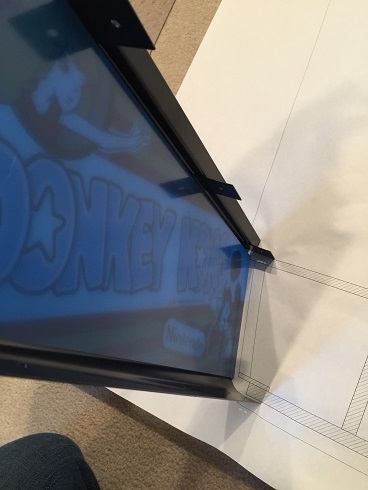 There's a Donkey Kong Kill Screen coming up! Here's latest picture from this past weekend (5/7/2016). More updates below. Here's latest picture from this past weekend (4/30/2016) with the laminate on. 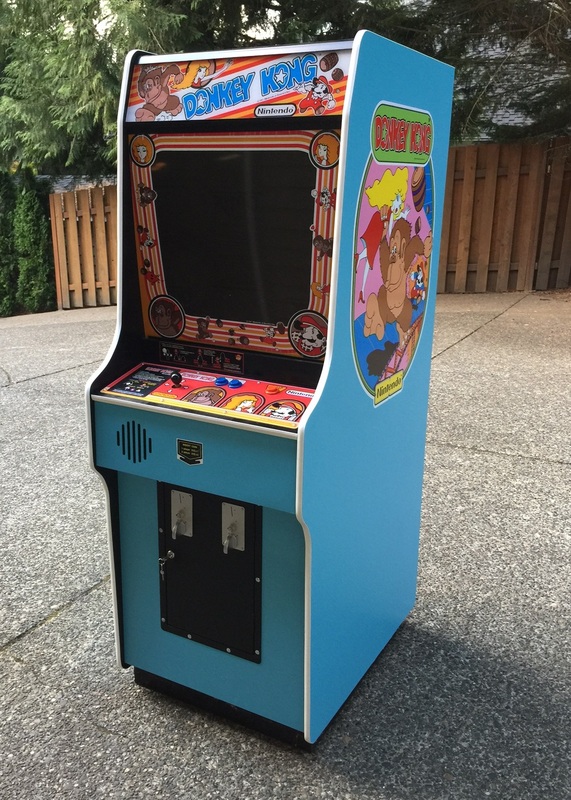 So I'm planning to build a Donkey Kong cabinet with MAME running on RPi. I would like the cabinet to look as authentic as possible. However, I'll still use an LCD for convenience. 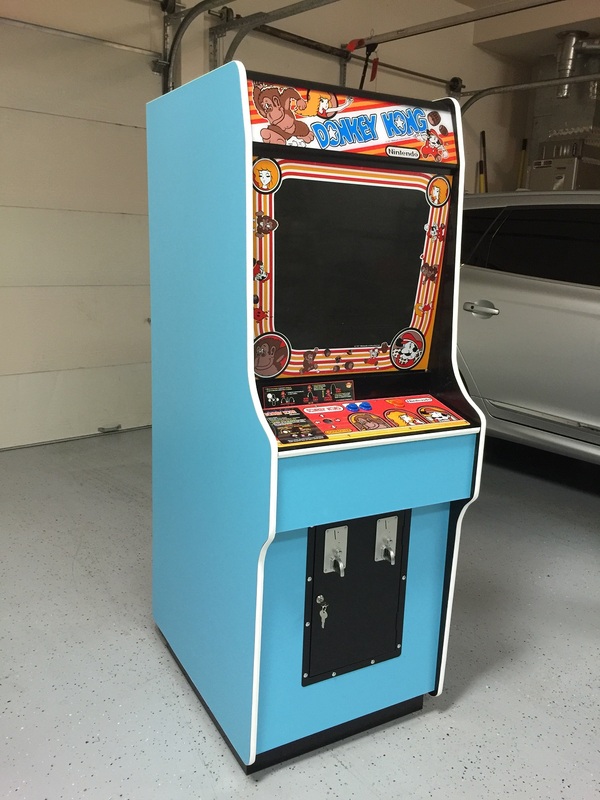 Also, I'm planning to have a DK control panel and then another that is more generic to handle games like Robotron. Finally, I'm considering doing two builds at the same time with the other being either a DKJr or Mario. Doing a Mario would be cheaper since its the same paint color but DKJr orange would look nice. Not sure the wife can put it up two builds though. [Update] Wife will not put up with two builds right now. 1. Reading ChanceKJ's sticky, johnrt's build, and many other threads. I am pleasantly surprised by all the info out there for doing this. 2. 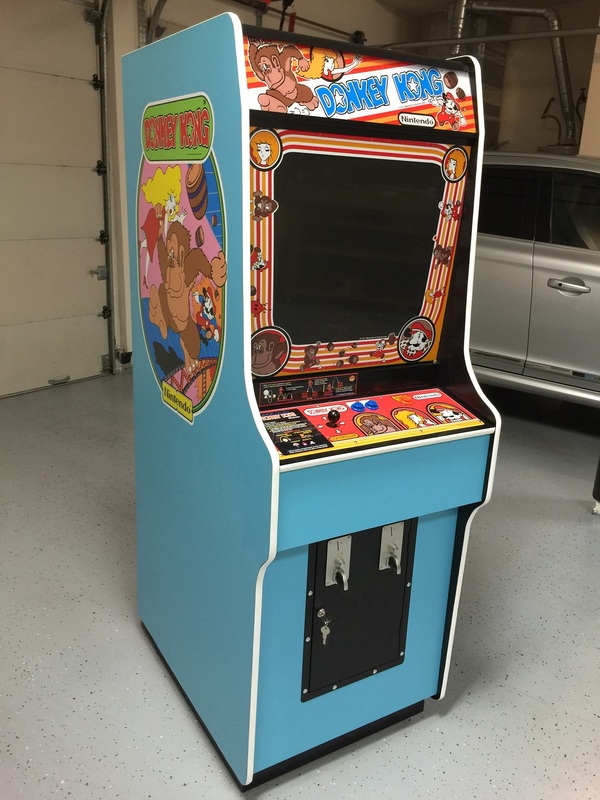 I've ordered the marquee, bezel, and brackets from http://MikesArcade.com. I don't want to start building anything until I know these things are going fit. 3. I've contacted http://www.plonkagames.co.uk/ for coin doors. Frank promised to set two aside when the next allotment comes in (~8 days). 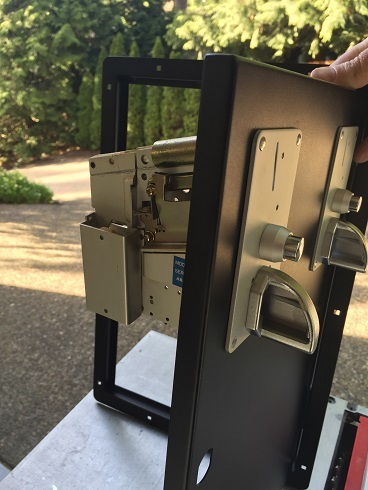 [Update] Frank from plonkagames has shipped the replica coin door. With shipping to US its about $125 US. 5. Printed Gaetan's Coupe (1.1) drawing at FedEx Office on their plotter. It was $13. I laid down the plastic template from #3 on top of this and it matches up very well. I'm going to use the Gaetan plans instead since it has more detail. Also, I found the Jakobud template had several issues. For example, the heights on the right side of the drawing don't add up to match left side. The orginal DK used 5/8 thick ply, I would stick with that. I think you should just stick to original controls, the unique Nintendo joysticks is what makes Donkey Kong what it is. +1 In fact, Mike's Nintendo section should be your friend for the next 6 months. Thanks guys! I'll definitely look at doing 5/8ths plywood and original controls for CP. The bezel/marquee/hardware/side stickers have arrived today from mikesarcade.com. I guess I'm really committed to this project now or I'm out $300. I also did a test fit with Gaetan's 1:1 scale plans and it looks good! Thanks Gaetan! 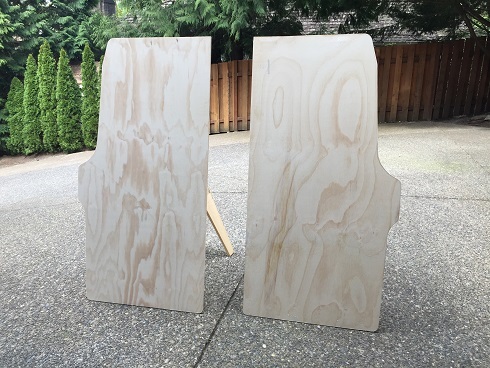 I found that a local lumber yard carries plenty of 5/8 plywood (grade A/B) with an actual width of 9/16ths. So this is perfect! 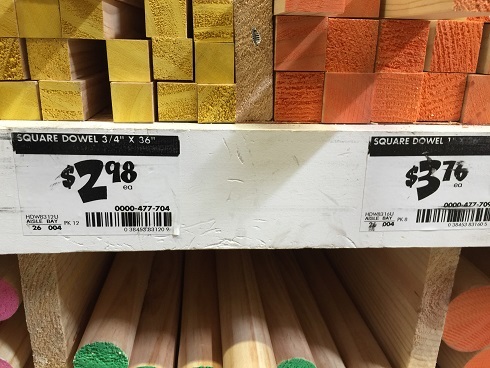 I've seen a few threads were folks limited themselves to what Home Depot has which doesn't carry 5/8ths MDF or plywood. I'm not sure they considered a local lumber yard. Maybe one day I will do one too in real size. Very cool! Your plans have saved me so much time! Especially, your 1:1 scale drawing. 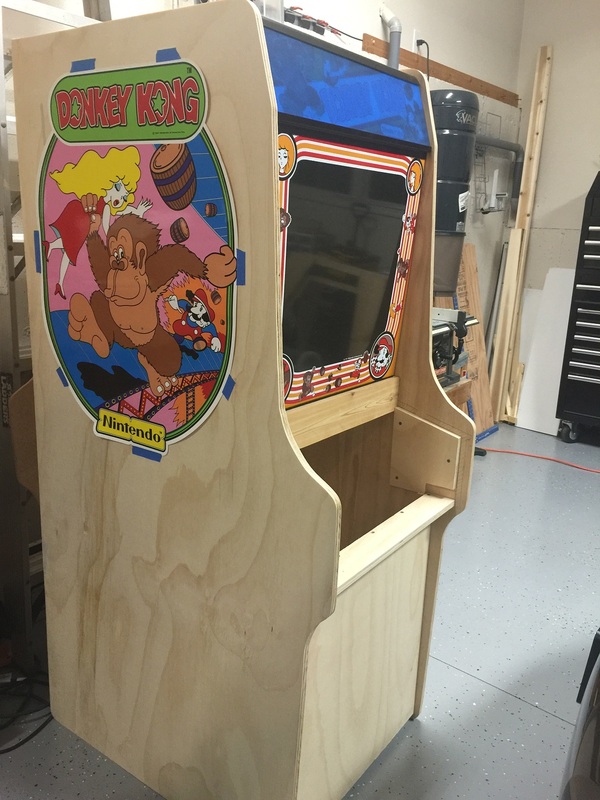 Today was the first day of DK cabinet build. 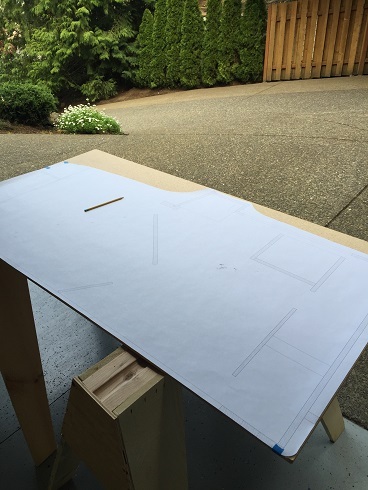 First step is to build a template using 1/4" particle board and the Gaetan 1:1 scale drawing. 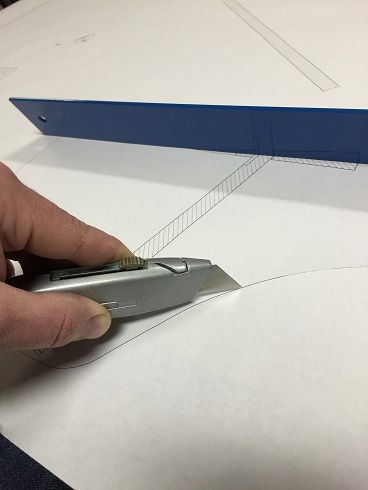 I used a utility knife to cut out the drawing. 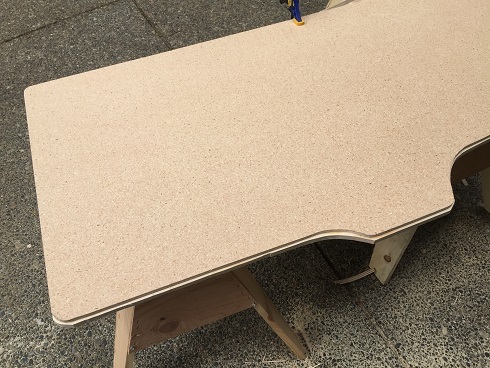 I laid the cut-out drawing on top of the 1/4" particle board for tracing. 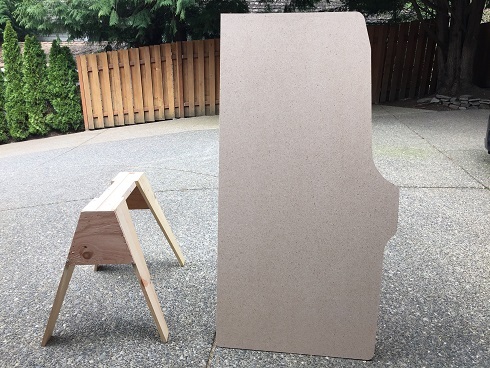 It took about 20 minutes to cut out the template with a jig-saw. The final template matched Gaetan's 1:1 scale drawing almost exactly. 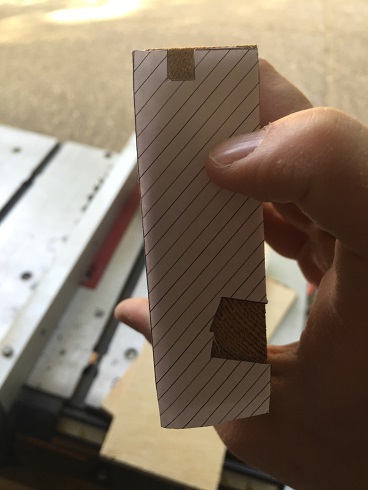 I used the belt sander for the rounded corners and cleanups with Gaetan drawing taped down. Overall, the template took about an hour to trace, cut-out, and sand. 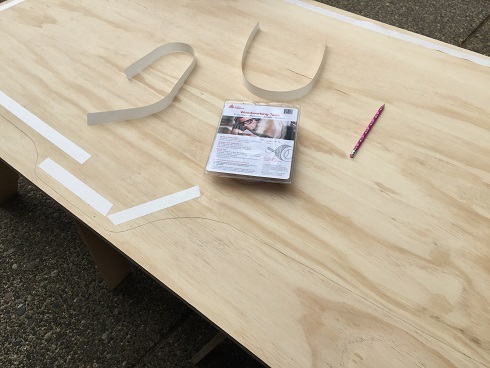 I used two-sided woodworking tape to help secure the template on top of the plywood. It worked really well. 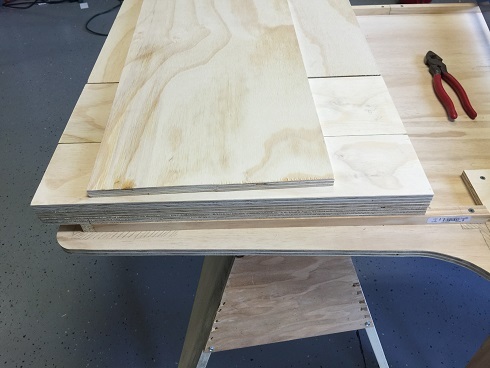 I cut away excess 5/8" plywood with a jig saw and now its ready for routing. 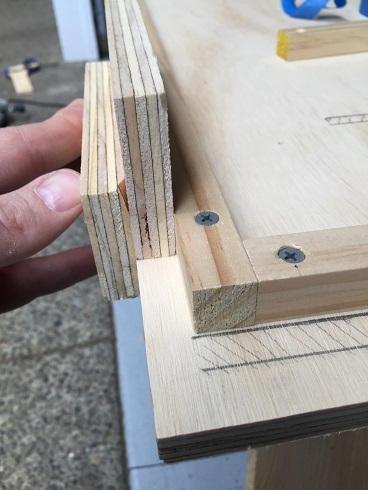 I used a 1/4" pattern bit with a 1.25HP Dewalt Router. It does a great job with cloning the template. 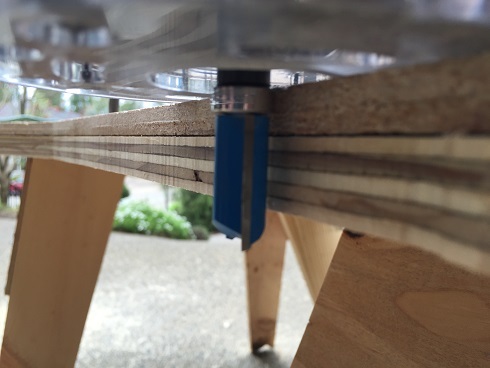 Here you can see the bearing of the pattern bit riding along the top edge of the 1/4" particle board template. Here's the final result of the edge after routing. I have two perfectly matching sides from about ~1.5 hours of setup and routing. I'm really happy with how quick things are going and I owe much of this from having the Gaetan drawings. Subscribed. Love your attention to detail with your documentation! I decided to install battons to avoid having to screw the panels/shelves from the side of the cabinet. I want to avoid having to use bondo. So far, installing the battons has been the most time consuming part of this build. Its mainly because I need the battons to be installed in the exactly the same places on both sides and I want everything to fit together nicely. So this means making sure the corners are all square, etc. I went to Home Depot and didn't find a whole lot of options for battons. 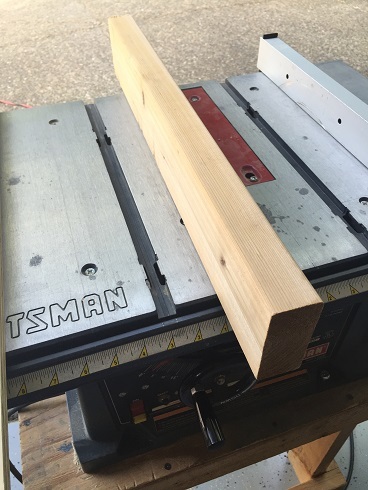 I decided to buy 3/4" square dowels that are 36" in length. 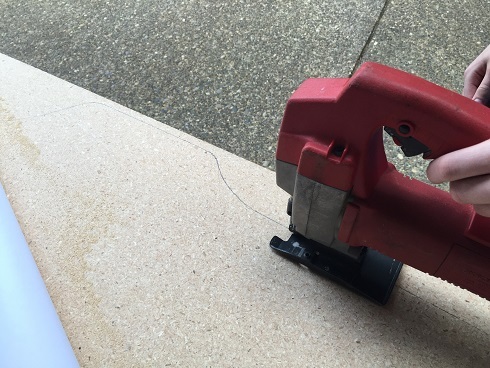 This saves time as I don't have create battons by ripping larger pieces on the table saw. I made a simple jig to make sure the battons are installed exactly where they need to be. I made sure to pre-drill the holes so the battons don't move when I screw them down. 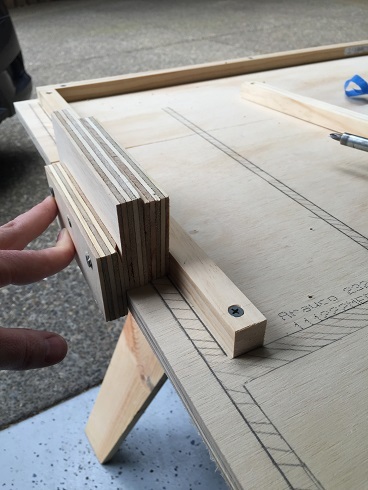 I added an extra 5/8" to the jig for the top panel. I made sure to double check measurements and that all of the battons were square as I installed them. Here is one side that is almost complete. Hopefully, I'll have some time this week to install the rest of the battons. Also, this weekend I'm planning to start installing the panels/shelves, etc. Once I dry fit everything then I'll take it all apart for painting. This past weekend I made further progress. I was able to cut all the shelves and panels. 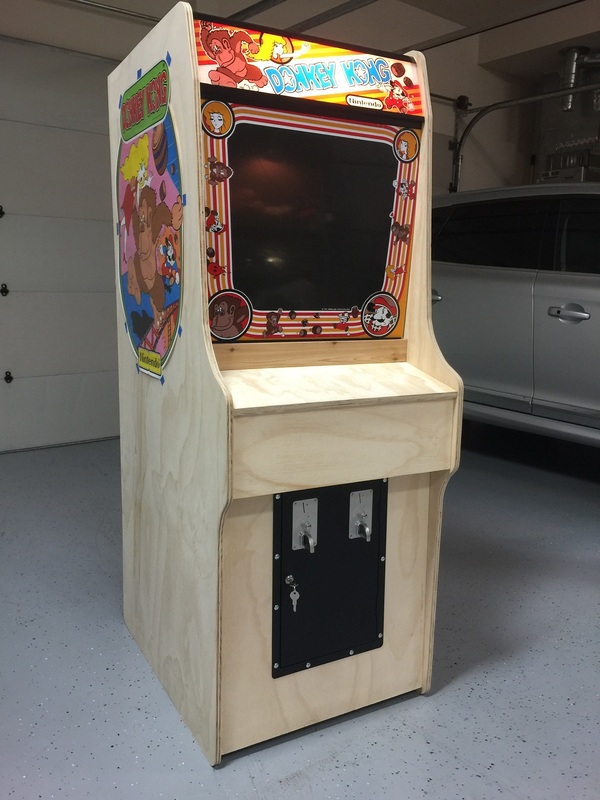 I found that the router is by far the best tool to have when making an arcade cabinet. 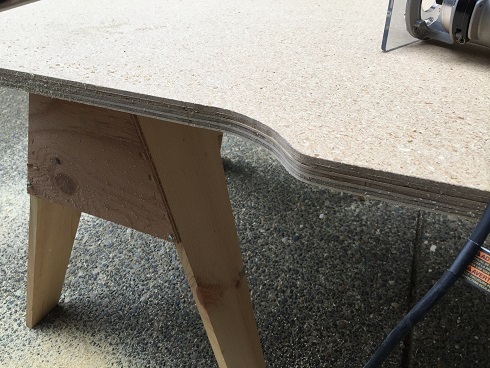 Here I'm using a router to square up the plywood before cutting it on the table saw. Here's all the shelves and panels stacked up. 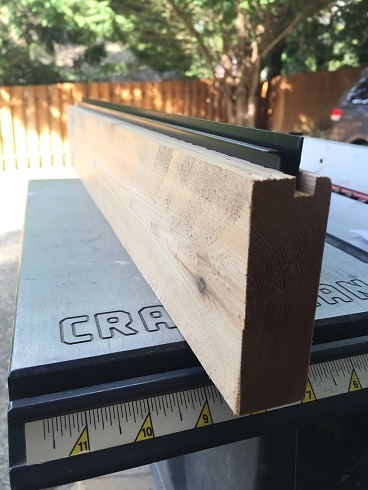 I used the router to ensure lengths are the same. This is a cedar 2x4 that I'm going to cut down to make the bezel holder and control panel insert. 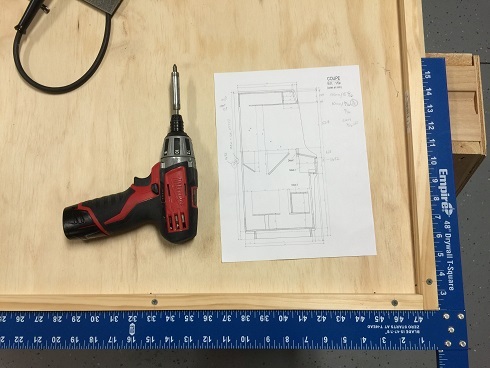 I ran it through the table saw to get the right dimensions. It matches up well to the Gaetan 1:1 cut-out. I set the fence and blade height to cut the metal lower bezel insert. I ran a few passes through. Here's the result before sanding. 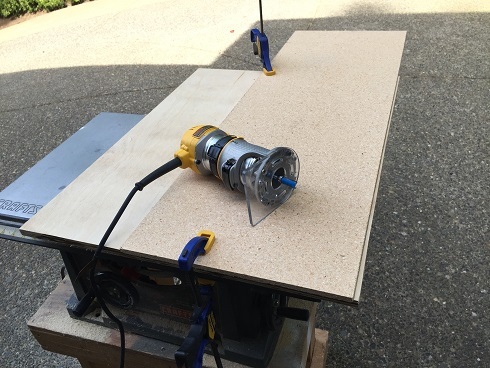 Next weekend, I'm planning to use the table saw, at an angle, to cut out the control panel insert. I started installing all the panels. 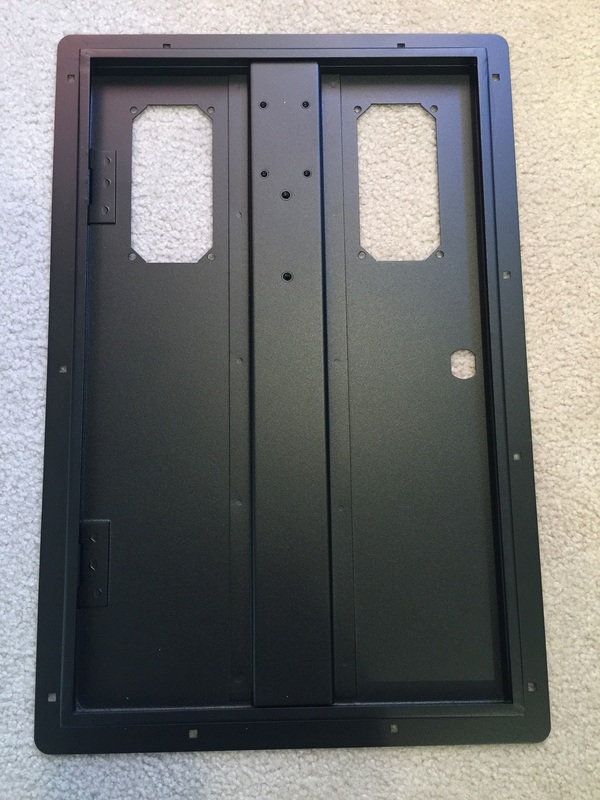 This is the marquee light back panel. Everything fit together perfectly. Once the shelves and panels were installed then the other half just set on and locked in place with the battons, etc. I did a test fit of all the art work, etc. and it fits! This was the first time I actually tested this. 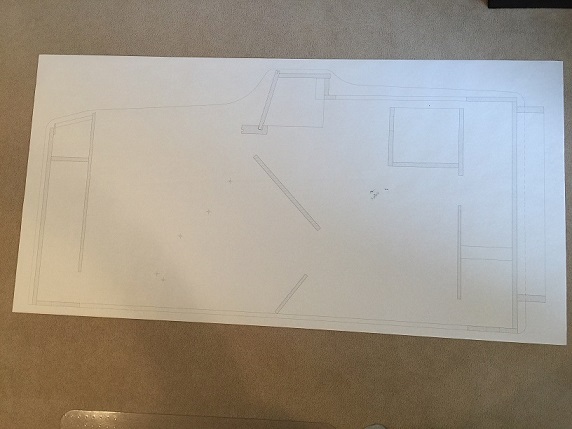 I had pre-measured the Gaetan plans before and never looked back after that. 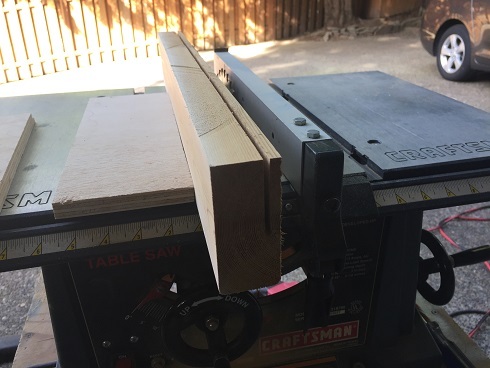 Note, that I did end up buying a $14 sheet of 3/8th plywood for the bottom shelf of the marquee so that I didn't have to do any special routing or cutting for the lower marquee hardware bracket. 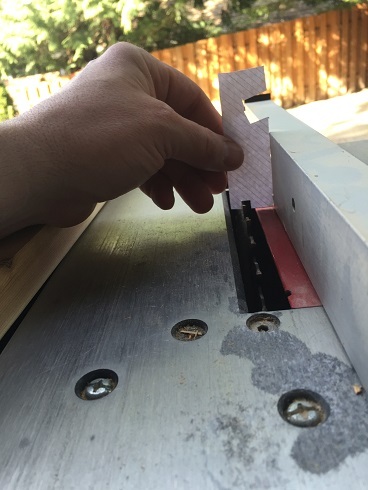 Are you going to paint or laminate the sides? That's turning out nice, will be difficult to tell it from the real thing from the pics, unless you take a distractive turn from here on out (that will be what people will see) .... It may be overkill, but I buy the wood almost a year before I actually build to get a good cure, (I think they did that with wagon wheels too) but It does give a nice predictable flow to a build however, especially with somewhat sappy like maple....again good job. I would rather laminate but don't have any contacts for acquiring the laminate. I was looking at Nevemar Carribean Blue laminate (https://panolam.com/chip/1173). However, not sure how close this color is to DK blue. Anybody have any suggestions here? If this doesn't pan out then I'm going to paint it. Thanks! 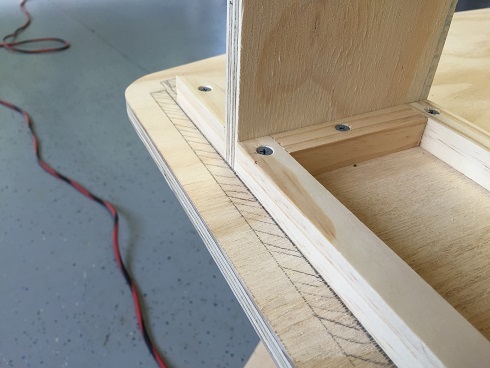 So far I've been able to stay very close to the plans including plywood thickness. 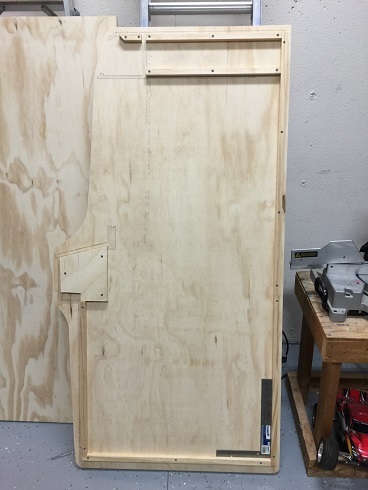 Also, the replica coin door from Plonka is on its way. I'm getting to the point where I might just buy a Sanyo 20" CRT and board, etc. That's dedication to let your wood sit for a year. 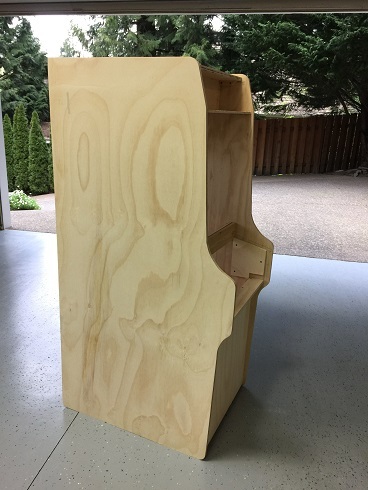 I chose to let my wood cure in the shape of a DK cabinet. Here is a Nintendo Laminate Color Match post I just made. It might help you decide. The color looks like a great match but I'm not digging the egg shell texture. Do they have a smooth version of this? Or is there a way to smooth it? Also, thanks for sharing your experience on this! There was a gentleman on KLOV that has used the Caribbean blue on his DK restore. He says that the swatch has texture but the actually sheet you order is much more smooth. Not perfectly smooth, but apparently "smooth enough". As I understand it, The red swatch is the only color that comes in smooth. You could also call them to see if they offer the blue in smooth. 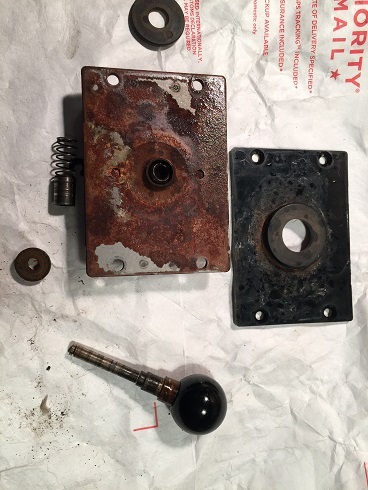 Here are some before and after shots of Hailrazer's restore. (from KLOV) I think one could get over slight texture differences given the overall results. Also, I think the texture is what helps to keep the surface from scuffing/marring/hazing as much over time. A perfectly smooth surface would be much more scratch-prone. Actually, the texture wouldn't look all that bad. I am mainly concerned about the side art appearing bumpy. However, I think I can just sand behind where the sticker will go. I think this is the solution I'll go with! Thanks! Hopefully, I can order these sheets of laminate! 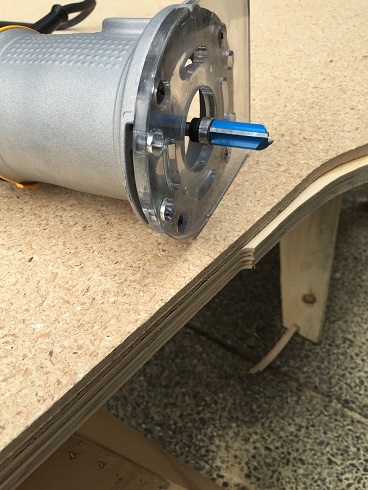 Also, I'll have to buy a laminate trim router bit. The coin door from Frank at Plonka Games (http://www.plonkagames.co.uk/) arrived! So I can cut the coin door this weekend. 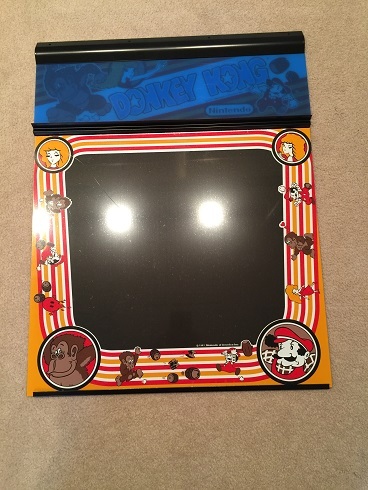 I was planning to buy the Nintendo Coin Door bolt set from MikesArcade.com for $10. However, they were out! Actually, that ended up being a good thing. 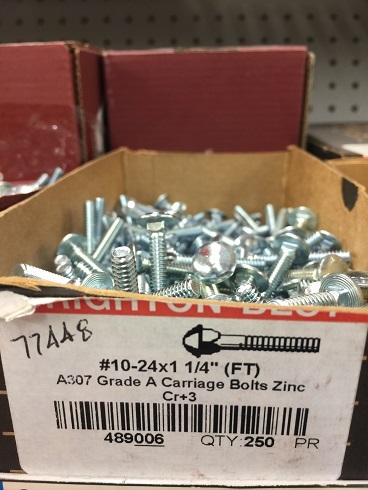 After striking out at Home Depot, I found that Ace Hardware carries these bolts! They are 3/8" carriage bolts and were labeled #10-24 1 1/4" inch. They had multiple lengths as well. I bought 11 of these for $1.32 and some nuts for another $1.20. 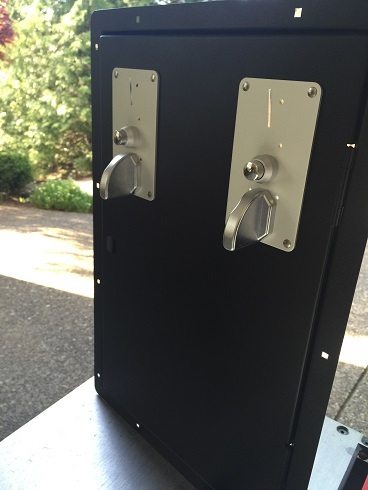 It fits the coin door perfectly! 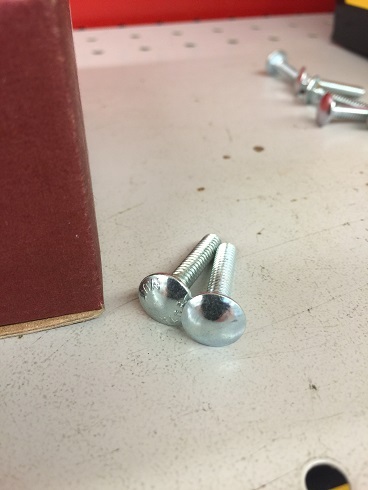 The box contained a mix of bolts. Some had a smooth head and others with writing on them. I didn't realize this at first. 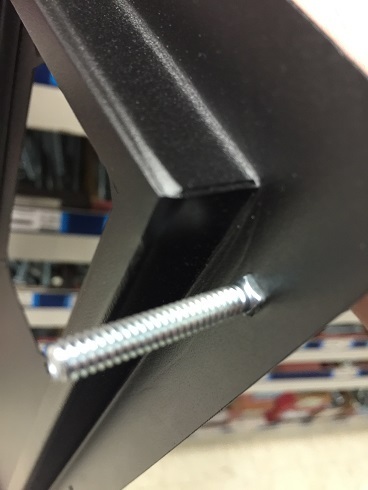 Also, Ace Hardware contained a wide assortment of black screws which Home Depot did not have any of. These will be useful for the upper marquee bracket. I also talked to the folks at https://www.topcabinethardware.com to order the DK blue laminate (Nevamar Carribean Blue S3070T) https://www.topcabinethardware.com/top-cabinet-hardware/product/16153-s3070t-4x8-v3. Hopefully, I can get that shipped out this next week. 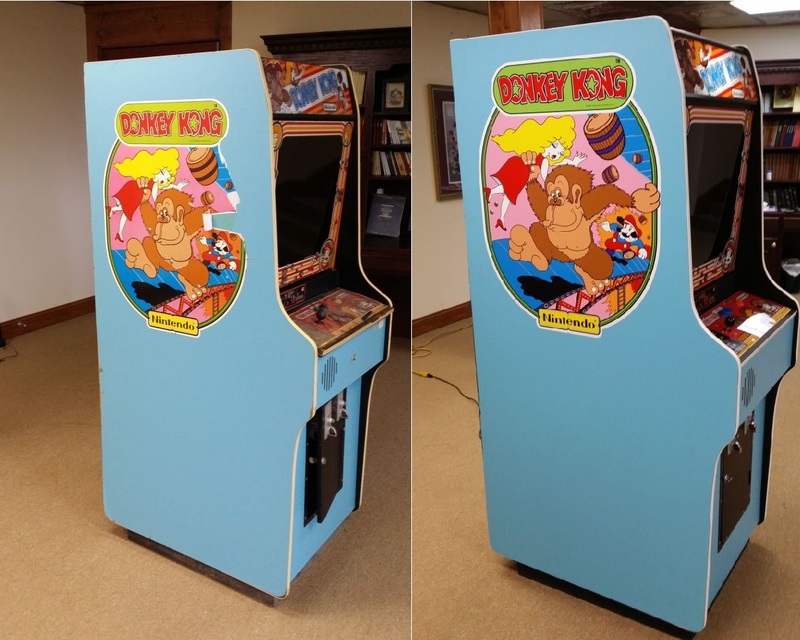 See vwalbridge's thread "Nintendo Laminate color matches" at http://forum.arcadecontrols.com/index.php/topic,150293.0.html. Jenn would go back and get some more without the casting stamp on them.... If you polish those heads on those carriage bolts (I use neverdull and paper towel) you will scrub some black off there. This not only makes them sparkle, but puts a protective coating on the zinc witch helps inhibit rust, and lubricates the threads for easy disassembly someday. Quick and fast however, don't rub the plating off them....Should you be so inclined. Luckily, I figured this out before leaving the store. Good tip on Nevr-Dull. Maybe it can help clean the coin mech? 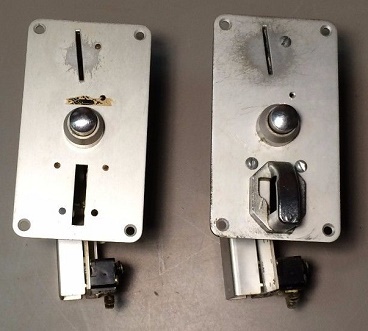 I just bought these 2 coin mechs off of e-bay. Any tips for how to clean these up? Also, any advice for hooking these up into a I-PAC 2? Anything else special needed? Here's the side pic of one of them. Finally, I won't have any time to work on DK this weekend. I'm expecting to get a lot done next weekend. The plating is compromised, Depending on your budget and level of restore... Clean them with simple green /water, Or paint them, Or send them out to be plated, Or buy a simple home plating kit (eastwood has a nice entry level kit) and try it at home. To strip the plating (after disassembly of course and before paint or home kit) I would try a hydrochloric, or sodium hydroxide (caustic soda) as a remover as apposed to sanding, but that's just me. .... Most around here will most likely say spray paint I would venture to guess, a simple clean fast cheap approach, but suffers a bit in longevity. Yep, Jenn is right. Those coin mechs have a special plating on them that has chipped off. If you are up for it, I'd sand them smooth and then rub them with some steel wool to get some of the luster back. I can't guarantee this will work, but I've done it with other metal parts with success. The steel wool at the end is what gives the shine back. Makes sense. It seems like re-plating is really the best option if I were to restore them. Thanks! 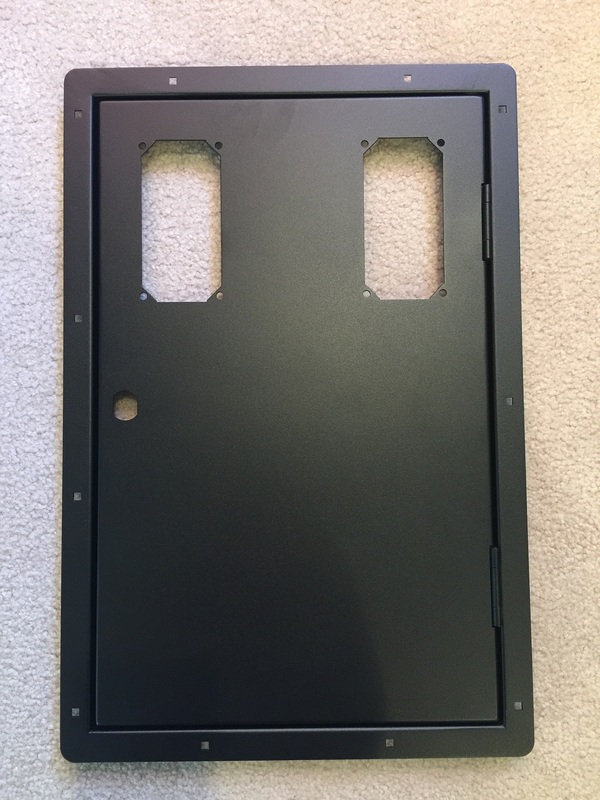 The face plates from mikesarcade.com are rather cheap. So this may be the best option. Although, I'm willing to experiment with these plates to see if I could restore them. The Eastwood kit sounds interesting. Your best option would be the replacement as V/bridge suggested.... I tend to be highly experimental at times. 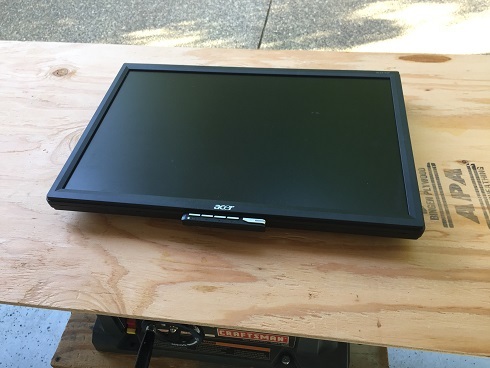 More about the workbench and processes than the actual project. Cabinet is looking good so far! I got the idea from johnrt's build for using battons. Not only did I avoid having to use bondo but it made it easier to properly align the two sides. I got the new coin mech face plates from mikesarcade.com. 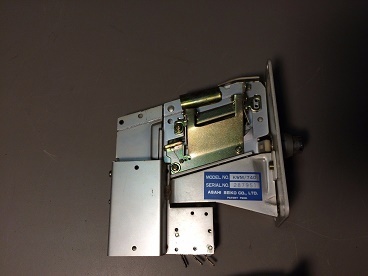 I found out from Tony, from mikesarcade, that the face plates come directly from Asahi Seiko and are not reproductions. Asahi Seiko doesn't sell the KWM-740 mechs anymore. So I'm wondering how many more of these face plates they'll have. I hooked up one of the coin mechs to make sure everything fits. Stuff from ebay started coming in. 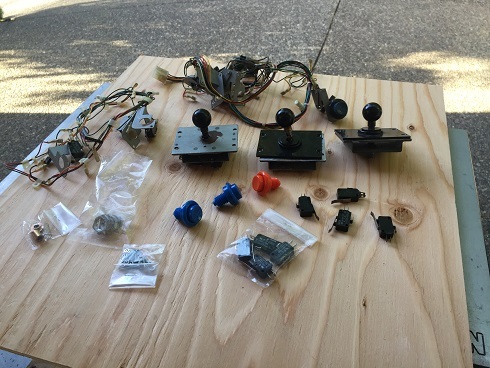 I scored 3 joysticks that appear from Nintendo VS, which I hope I can make work, and 2 wiring harnesses. I also got some replacement parts from Mikes to fix up the joy sticks including a 4-way restrictor plate. I'll follow Nerdtendo's guide to cleaning up joysticks. One of the joysticks was in really bad shape. I cleaned it up a bit and removed all the rust that I could. It still needs some more work. Also, I'll no longer need the plastic parts. I'll use the DK style guards. Also, I found a cheap monitor that works really well. I took the base off. 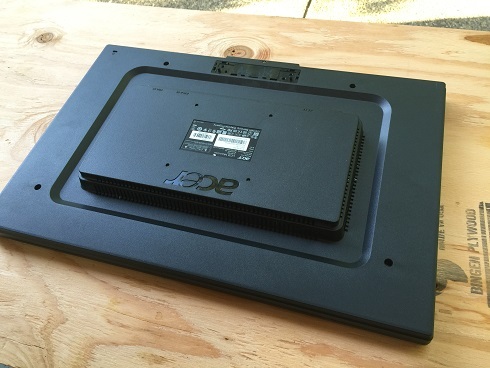 The back has the mounting holes that I need.